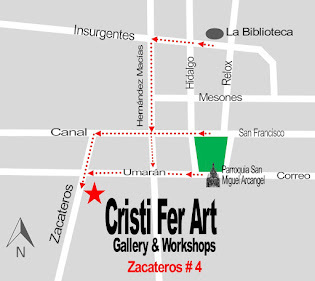 Cristi Fer Art Gallery and Workshops, in San Miguel de Allende, Mexico: Looking for an artsy vacation in Mexico to escape the cold? Looking for an artsy vacation in Mexico to escape the cold? San Miguel is a fantastic place to visit in the winter and escape the cold! We are not a Tropical Paradise but the winters are mild and sunny, Mid day you can wear a T shirt and most likely you will need a sunhat. 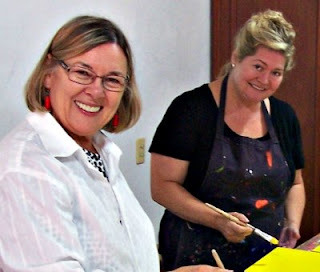 Cristi Fer Art Gallery and Workshops is located in the heart of Centro and offers one week long painting workshops for all level of experience. Check the tabs above and choose a workshop and time that works for you! Then contact us ASAP and register for one week or more! 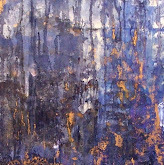 If you are a beginner who want to gain the courage to paint more and not be so critical of herself or an experienced painter who wants to brash off on technique or spark your inspiration our workshops are for YOU!